Swansea have become a shining beacon for Welsh sport over the past few seasons as a rugby heartland has seen their local football team become household names and dominate the back pages. Swansea City despite not performing the tricks they should have last season managed to pull themselves well clear of the relegation fight that was captivating to the last. The Welsh club do seem to often bring some attacking verve to their play and they certainly aren’t frightened of hitting teams on the break with the pace some of their midfielders possess to not use that talent would be absurd. The Swans will have their work cut out this season though, Middlesborough, Hull and Burnley all have strong squads and with teams such as Sunderland strengthening over the summer it could be a tough season at the Liberty Stadium. Recruitment is in one word, underwhelming. The capture of Fer is a coup for the club but other than that the other names don’t scream quality. No really high profile departures is big plus especially keeping skipper Williams despite interest from Premier League rivals, Everton. Leroy Fer in action for Norwich. The pursuit of Fernando Llorente is ongoing but other than that business looks to be done at the Liberty Stadium any other outgoings would be a shock with Everton cooling their interest in Ashley Williams. Tottenham would have been the story of the season if it weren’t for Leicester and their unbelievable title win. Packed full of England stars Dier, Kane, Alli, Walker, Rose they should be match for any team even though many of those players were so under par at this summers Euros. Harry Kane was singled out for his poor performances at Euro 2016. The squad believe they can do it, they know they have the quality and fanbase to win the league, Pochettino is a very capable manager and he has taken the league by storm first at Southampton and now Spurs. If the big clubs falter again it could be another chance for Tottenham to shock the fans and pundits alike. The top four has to be the aim for this ambitious club and they should look to make this a regular occurrence. Recruitment has been strong bringing in some talented players whilst not losing any players so far. Wanyama bolsters options in midfield. There are rumours we could yet see both the departures of Fazio to Roma and Alex Pritchard is generating interest from Championship duo Brighton and Norwich. No big names have been linked with moves though. Watford had a good season last time out and found themselves well above the drop zone and keeping themselves well away from danger. The Hornets played well and and former manager, Flores gave Watford, led by Deeney and Ighalo up front a distinctive style, a style that saw the side score goals and made them difficult to beat. Teams travelling to Vicarage Road will face a very tough task of breaking down a thoroughly prepared team with a huge amount of desire to prove they have what it takes to succeed in arguably Europe’s most competitive league. The north London club will look to their new manager and hope for consolidation this season and while I expect Bournemouth a team that came up with Watford to struggle this squad seem a lot more likely to build on last seasons form. Recruitment wise a few clever signings have been made, they mostly increase depth within the side, not really any stars involved but with 38 games in a Premier League season, depth is key. Lille forward Boufal remains a target but it is unlikely a move will be done this summer, transfer business looks like it is done for Watford. Igahlo celebrates a goal with the mascot. This entry was posted in Uncategorized and tagged alli, ashley williams, ayew, boufal, bournemouth, deeney, depth, dier, England, Euro 2016, fer, flores, football, guidolin, ighalo, janssen, kane, liberty stadium, lloris, london, mazzarri, pochettino, Premier League, qpr, rose, Spurs, swansea, tottenham, vicarage road, wales, walker, wanyama, watford, white hart lane. Bookmark the permalink. As we hurtle towards the end of what has been a thrilling season for fans, least of all the fact that Leicester still are sitting pretty atop the Premier League table. If we look at the other end though, it is still all to play for in the fight for survival, currently there are only 12 points separating 14th placed Watford and 19th placed Newcastle United, however Watford and Swansea are looking safe. That leaves Crystal Palace, Norwich City, Sunderland, Newcastle and Aston Villa all still trying to avoid relegation. If we take Aston Villa out of the equation, they lie bottom of the league 12 points from safety, they are odds on favourites to go down. Aston Villa haven’t had much to celebrate this season. However Newcastle are on 25 points and Sunderland 26, they are just two points away from the currently safe Norwich, however both the teams have a game in hand over the Canaries who have 28 points. It looks as though Crystal Palace who are on 33 with a game in hand over Swansea look safe and with Swansea on 36 they should be able to get to the magic 40 in their 7 remaining games. All eyes go to the east now as Sunderland, Newcastle and Norwich fight to keep their Premier League status, all three sides have strong squads. Norwich City celebrate a much needed goal. And of course Survival Sunday the 15th May. The season has been a long one for all three sides and the final few weeks aren’t going to be much easier, the pressure is on and it’s clear only one side will stay up. The likelihood we will have some sort of clear picture by the final day of the season and with two teams facing two of the top four each and each team playing at least one game against another one of the bottom four it is all to play for heading into the final weeks. This entry was posted in football, Uncategorized and tagged aston villa, crystal palace, England, football, may, newcastle, norwich, Premier League, relegation, sunderland, swansea, watford. Bookmark the permalink. Tottenham a team that have really challenged the top 4 in recent seasons and now a regular team in European competitions last year however was a difficult one for the north London club. Although Tottenham threaten the top 4 clubs in league positioning wins are rare they suffered heavy defeats to Manchester City as they were humiliated 4-1 and Chelsea who blew them away 3-0. Liverpool also put them to the sword as that match ended 4-1. These big losses before Christmas did not look good for Spurs. They were having patchy runs of form here and there but nothing to suggest they were good enough. None of their stars were really stepping up bar Kane and Eriksen at regular and long intervals. Tottenham found themsleves in 10th in mid December before they went on a run of 3 wins over the festive period including a win over Swansea away from home which many teams found tough with Swansea really improving every season. Spurs rose 3 places to 7th before they faced Manchester United a game that looked rather bleak if you looked at Spurs track record against England’s most successful club, they could only manage a 0-0 draw. Tottenham players celebrate victory over Crystal Palace. The 1st day of 2015 was the day that brought Tottenham’s best result and a match that made a hero out of England striker Harry Kane. Chelsea were beaten 5-3 in a phenomenal match, it was unheard of to put 5 past Courtois. Kane was sensational and suddenly a fanfare arose from the British press and the cries to get the striker playing for England rose into a crescendo. This second half of the season would prove to be much more fruitful than their slow start. A 2-1 win over Arsenal at White Hart Lane on 7th February was sensational and the Spurs stars were beginning to perform and bring some life and electricity to White Hart Lane. A trip to Manchester United was tough viewing as they were downed 3-0 at Old Trafford. This left the club reeling. Their run-in was fairly kind and a 4-3 win over Leicester showed how dangerous the club can be on the attack. They were building something special. This assault on the upper reaches of the table that started on New Years Day. They ended the season with a 1-0 victory against Everton a result that showed they are able to play some attractive football and will be looking to build on that sort of form in the coming seasons. Tottenham very much assured as one of England’s could be clubs, they are missing 1 or 2 pieces of that puzzle a strand of that DNA that makes the Chelseas and Manchester Citys stand out. They found parts they didn’t know they had last season such as a world class striker and keeper in Kane and Lloris both of whim have been the interest of Manchester United although it seems their interest in Lloris has cooled now they have 5 goalkeepers in their 1st team. There are a few positions they lack in and at times their defence was exposed last season even in their 5-3 victory over eventual champions Chelsea is not a healthy record. Their goal difference was only a +5 at the end of the season compare that to 7th placed Southampton who finished with +21 but 2 places lower in the league table. Tottenham’s average season will need to be built on if they wish to play Champions League football anytime soon. Tottenham’s key player was undoubtedly Harry Kane. The young finisher was outstanding following Christmas. He scored 31 goals in all competitions this season that is an alarming amount of goals. That is just 1 less goal that Agüero managed last season. Kane’s form earned him and England call-up. He scored on his debut and sent the country into delirium. The English striker saved Tottenham on many occasions and after becoming a cult icon after single handedly dismantling Chelsea he also scored the winner in the derby win over Arsenal. His finishing ability see him stand out as one of the league’s best forwards. He is going to be key to both his club and country’s fortunes for years to come. 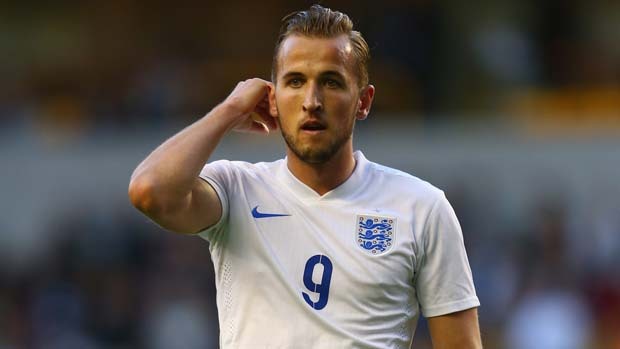 Harry Kane got rewarded for club form by an England call-up. Tottenham have been rather busy offloading players over the summer but have brought in a few fresh faces so they can continue to push for a top 4 place. 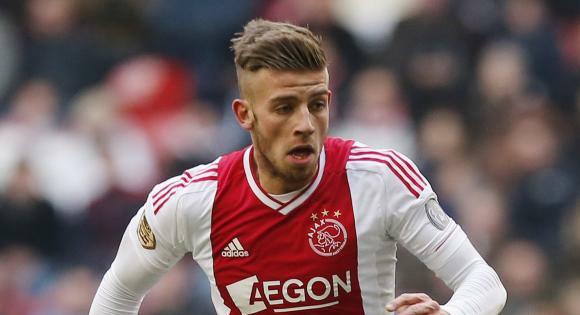 They have brought in 3 new players the most notable being the acquisition of centre back Toby Alderweireld from the Spanish capital. He is a wonderful defender and could be a huge difference for a defence that at times leaked goals possibly the reason they have also brought in Wimmer. Kieran Trippier is another very canny signing a player that can be of service as back-up or in irritation system with Kyle Walker and Danny Rose. Tripper is quick and provides a counter attacker that can pose problems for slow midfielders if he is given room on the outside. Alternierend in action for Ajax. A total of 7 first team departures. Brad Friedel finally retires from football at the age of 44, a wonderful servant to the game and the Premier League the former USA goalkeeper will be missed. Kaboul also leaves having had a good career in north London a player that was a real asset to the Spurs team and understood what the club meant to the fans. Lewis Holtby leaves the club, the promising midfielder showed some real potential last season but Tottenham have so much depth in midfield Holtby was always going to struggle. Paulinho has also had enough of north London, he has a great couple of seasons. Some high profile departures could harm Tottenham although their recruitment seems very smart. Tottenham should have an interesting season and should their stars be in a good vein of form I see no reason they can retain 5th. This entry was posted in Uncategorized and tagged 31, aguero, alderweireld, Arsenal, champions, champions league, Chelsea, christmas, courtois, cult icon, december, derby, England, eriksen, europe, everton, february, friedel, goalkeeper, hotlby, kaboul, kane, leicester, liverpool, lloris, london, Manchester City, manchester united, new years day, old trafford, paulinho, pocchetino, potential, rose, southampton, spain, Spurs, swansea, top 4, tottenham, trippier, usa, walker, white hart lane, wimmer. Bookmark the permalink. Swansea are looking sharp and after another over performing season for the Welsh club they look as though they will only keep on getting better and hopefully they can continue to produce the performances that have even worried the big boys in the league. Swansea’s opening day win at Old Trafford was a huge moment for Monk and his team it sent shockwaves through the Premier League, United a club in crisis, Swansea hard to beat. Goals were something Swansea didn’t struggle with netting 46 times. They enjoyed August with 3 wins which was followed up by a catastrophic September as they failed to win a game losing to Chelsea 4-2 a particular low point. November brought them another impressive scalp this time Arsenal as the creative club won 2-1 at home which over the season became a very tough place to visit with Swansea only losing 5 times at the Liberty Stadium over the course of last season, rather impressive whichever way you look at it. Skipper Ashley Williams on the ball for Swansea. They entered the year in 9th place following a harrowing 4-1 thrashing by Liverpool at Anfield which was a dampener for them to end the year on. This was the first match of 4 games that Swansea failed to win which ended with their worst result of the season Chelsea beating them 5-0 at the Liberty Stadium a result that hurt the club. They went on a run until the end of the season then as they only lost a further 6 games and claimed some impressive wins such as complting the double over Manchester United by winning 2-1. They also claimed their last win of the season over Arsenal at the Emirates Stadium winning 1-0 undoubtedly their best result over a so-called top 4 team over the season the clean sheet a particular bonus considering their defence was caught lacking somewhat over the season. They made people sit up and take notice last season though with their rather attacking style of football that of they can improve upon this season could make them one of the most intriguing teams to watch. They play with passion, guile and a sense of calculated risk. Their attacking play was shown off with their big wins over the likes of West Bromwich Albion (3-0) and Hull (3-1) games that should have been more of a contest. If their captain Ashley Williams can rally the rearguard and add a defending aspect to their locker they could threaten the league order this season. Swansea’s key player left last season as Manchester City captured Bony’s signature with him gone there were so many players to choose from. Gylfi Sigurdsson has become a key player for Swansea his attacking runs and intelligence over the park make him a key man for the Welsh outfit. He offers a creative outlet to create space for the finishers like Gomis and Michu. He imposes himself on the game with his creative spark that leaves defenders wondering how he effortlessly creates space for his teammates. 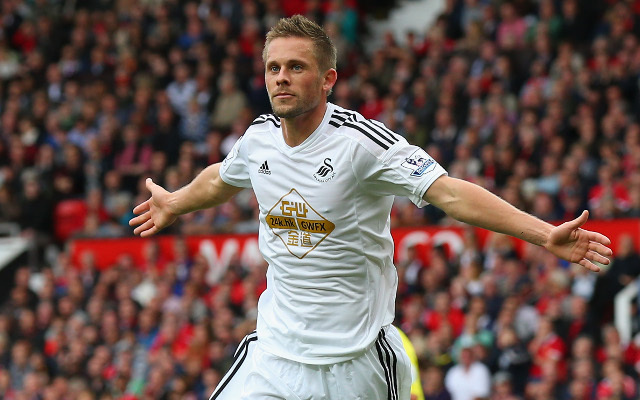 He will be key for Swansea if they are to go 1 step further than last year and qualify for Europe. Sigurdsson celebrates a goal against Manchester United on last seasons opening day. Swansea have seen 1 senior player leaves and they have brought in some excting additions with Monk not afraid to spend over the summer adding a few attackers and giving Fabianski some competition by bringing in some keepers to keep the Polish stopper on his toes. André Ayew is an interesting signing for the team a player that can play up front or just in behind your 9. He offers something different to the Swansea strikers that played last season. He is likely to be deployed in that hole and his pace make him a player to watch. Eder an expensive addition and another forward, his shooting range make him deadly and exciting to watch. His midfielders will relish having the Portuguese man to pass to as he is not one to miss good chances, a player that will definitely add some goals to Swansea over the season. The other high profile new man in Tabanou a defender from St Etienne, fans will be hoping he can at least go some way to stemming the flow of goals that led to Swansea conceding 49 last season it would have been more if not for their brilliant keeper Fabianski. 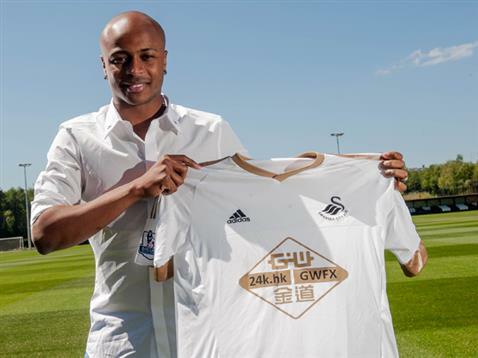 André Ayew holds a shirt following his high profile move to Swansea. Leaving the club is 1 player, Jazz Richards not a huge loss for the club and a player that they don’t need to keep smart business all round from Monk. Overall it looks as though if Swansea can iron out the creases it is a matter of when not if Swansea qualify for Europe. This entry was posted in Uncategorized and tagged anfield, Arsenal, ashley williams, attacking, august, ayew, braga, business, Chelsea, clean sheet, double, eder, emirates stadium, europe, fabianski, football, garry monk, goals, gomis, hull, jazz richards, liberty stadium, liverpool, manchester united, michu, november, polish, potuguese, Premier League, qualify, sigurdsson, st etienne, swansea, tabanou, wales, west brom. Bookmark the permalink. Liverpool will be disappointed with their campaign last season after a slow start they were given life after Christmas by none other than their captain and hero Gerrard. A crazy finish saw the Anfield club finish 6th a finish that surprised many including Rodgers who will have been surprised considering his team was lacking in goals. Liverpool had a dream a dream to send Steven Gerrard off with that 1 trophy missing from his personal trophy cabinet laden with honours including captaining England and a Champions League. Alas it was not to be for the Reds. The run of 3 straight defeats in November to Newcastle, Chelsea and Crystal Palace highlighted the difficult opening few months for the club. This saw them only net 2 goals and concede 6. The lowest point came in the grudge match at Old Trafford as their nemesis won 3-0. 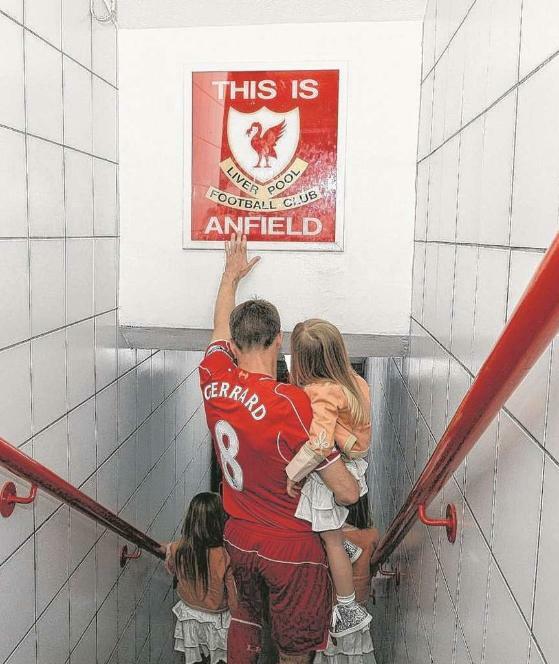 Steven Gerrard walking out for his final game at Anfield. This was followed by an outstanding run from 21st December until 16th March as Liverpool failed to lose a game and managed some tough away wins against Swansea and Southampton both of whom were strong at their respective homes last season. But this run was ended by Manchester United who did the double with a 2-1 win at Anfield in March stalling the progress made by Liverpool in the preceding months of wins and draws. A stuttering end to the season saw many Liverpool fans experience a case of deja vu as Crystal Palace took a 3-1 win before Stoke bullied Liverpool into submission by beating Gerrard in his last Premier League game 6-1 at the Brittania Stadium. The elephant in the Liverpool dressing room will be can anybody step up and replace Gerrard. The candidate that many have cited is of course Jordan Henderson, but it’s not the same it never will be as the last giant of Liverpool leaves and heads for Hollywood and the MLS. Henderson will obviously have a large part to play in the coming months and seasons should he stay at Anfield unlike Raheem Sterling. There is also big things expected of Sturridge who has an injury plagued season last season which saw him struggle and deprived Liverpool of the goals as Balotelli and Lambert failed to hit the target. If Liverpool are to succeed they will need to improve in front of goal and find that player that can change the game from the middle of the park. Last season there were few players to choose from that really performed bar Gerrard and Sterling. Lazar Markovic turned up more often than not for the club with some good attacking displays and a varied passing game he was one of the shining lights in Liverpool’s darkest times. Adam Lallana had a fairly good second half of the season with some good displays at times as he finally replicated some of the form he had shown at St Mary’s on the south coast. Phillipe Coutinho also had a sterling run of form as the season and closed and many fans hope he can continue in that vein when the new season kicks off. 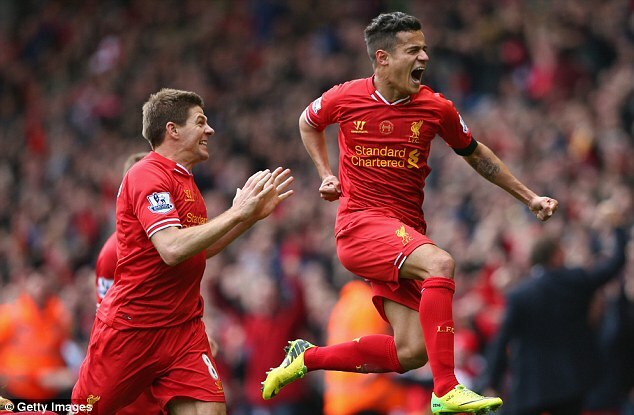 Phillipe Coutinho celebrates scoring a goal with Gerrard. Liverpool have been busy in the transfer market bringing in 7 players all high profile names whilst offloading 6 players that have played a part in Liverpool’s recent history. Liverpool have decided that they need goals and have brought in 2 new strikers and an attacking midfielder in Ings, Benteke and Firmino all of whom will provide goals. Former Villa hitman Benteke scored managed 15 goals last season, Ings netted 11 goals for Burnley whilst Brazilian Firmino scored 10 goals. Rodgers will be desperate that the new boys can score their goals and win games. He’s also visited his favourite hunting ground Southampton and snapped up Nathaniel Clyne, right back being a problem position for Liverpool Glen Johnson never really made that shirt his own. The England right back could be a really good signing should he perform to his best ability. James Milner and Ádám Bogdán are 2 experienced players to bring in Milner could bring that professionalism and high standard in training that Gerrard offered, that air of confidence and experience that Gerrard exuded. Ádám Bogdán comes in as back-up and adds some experience to the squad. Nathaniel Clyne in action for England. The league’s worst kept secret was that England midfielder Gerrard was thinking of leaving, he left the club to join MLS side LA Galaxy. Another secret was Raheem Sterling wanted to leave and win trophies, his transfer saga went on too long before he finally made the move to Manchester City. Glen Johnson also leaves the club after a difficult couple of seasons at Anfield as his performance level dipped leaving him being dropped by Roy Hodgson for his replacement at Liverpool Clyne. Liverpool will be different without Gerrard and will be a completely different prospect with the team. They have also lost their most complete, creative, attacking player Sterling to Premier League rivals. Their squad and recruitment make them a tough team to face this season and they will be confident of being able to fight but they will struggle to compete at the top of the table. 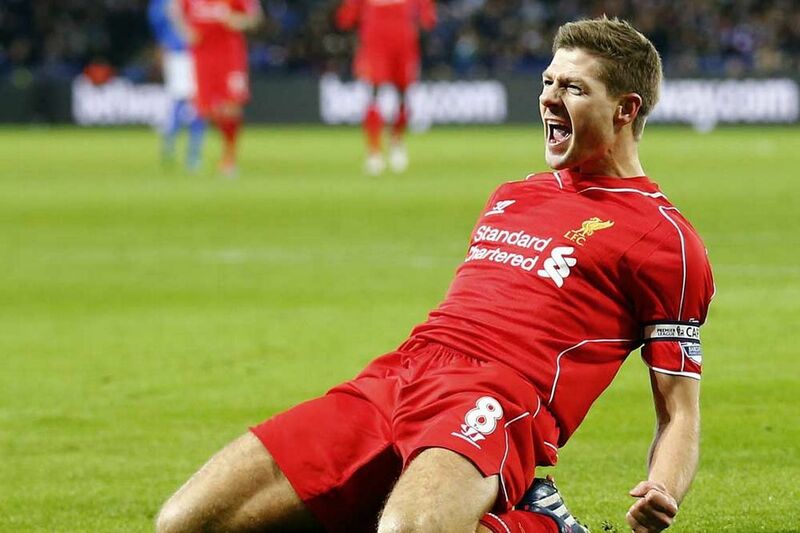 Steven Gerrard celebrates scoring against Leicester. This entry was posted in Uncategorized and tagged 6th, anfield, benteke, bogdan, brittania, captain, champions league, Chelsea, christmas, clyne, coutinho, crystal palace, december, defeats, deja vu, elephant, England, firmino, gerrard, goals, henderson, hero, hollywood, icon, ings, injury, injury plague, johnson, la galaxy, lacking, lallana, liverpool, Manchester City, manchester united, march, markovic, milner, missing trophy, mls, nemesis, newcastle, november, old trafford, Premier League, red, rivalry, rodgers, roy hodgson, run, saga, south coast, southampton, st marys, stadium, Sterling, stevie g, stoke city, sturridge, swansea, transfer, trophy. Bookmark the permalink.